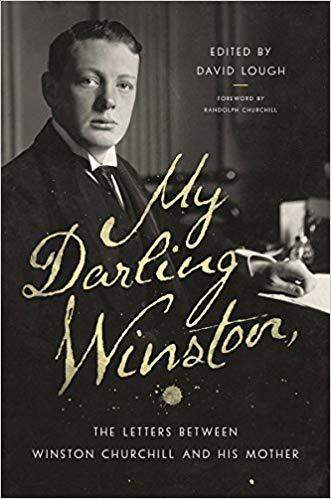 David Lough, editor, My Darling Winston: The Letters Between Winston Churchill and His Mother. London: Pegasus, 610 pages, $35, Amazon $22.48, Kindle $14.99. David Lough added significantly to our knowledge with No More Champagne (2015), his study of Churchill’s finances. Now he fills another gap in the saga with this comprehensive collection of Churchill’s exchanges with his mother Jennie, Lady Randolph Churchill. They range from Winston age seven to the very last letters before Jennie’s death, aged 67, in June 1921. Jennie was much better at keeping Winston’s letters than he hers. As a result, “connecting tissue” is often required from the editor to explain the context. The dearth of Jennie letters requires familiarity with her own story. At this Lough excels, providing us with just enough narrative, without taking over and distracting the reader from his subjects. He accompanies his text with excellent maps and uncommon photographs. Having David Lough as narrator is like having a skilled tutor, guiding us through the four-decade relationship between mother and son. He never falls short. “If we accept that Jennie ‘forgot’ about Winston during his schooldays,” Lough writes, “the ease with which they took up the striking intimacy of their correspondence after Winston left school suggests that she must have forged a stronger bond in his pre-school years than was typical of Victorian parents.” She certainly did—witness her own diaries, and her loyal support of Winston when rebuked by his father. Do well in your grades, she wrote him, and it will eclipse Papa’s low view of your prospects. Yet she didn’t hesitate to criticize. Once, finding him adopting a “pompous style,” she warned: “You are in danger of becoming a prig!” For the most part, though, she took joy in his letters. There are early examples of Churchill’s wry wit and powers of observation. Of Calcutta: “a very great city and at night with a grey fog and cold wind—I shall always [be] glad to have seen it—for the same reason Papa gave for being glad to have seen Lisbon—namely ‘that it will be unnecessary ever to see it again.’” On his grandmother Frances, 7th Duchess of Marlborough: “Old age is sufficiently ugly and unpleasing without its too frequent accompaniments, capriciousness and malevolence.” Ouch. Once commissioned, Winston was desperate for action: “scenes of adventure and excitement,” where he could “gain experience and derive advantage.” He felt hampered in “tedious” India, denied both “the pleasures of peace and the chances of war.” Before long, he was yearning for Crete. Why Crete? Because, Lough explains, he hoped for assignment as a war correspondent during the Greek revolt against Ottoman rule. In a paragraph, Lough explains how this promising fracas was resolved, much to young Winston’s frustration. Yet India would soon provide plenty of war’s chances with the Malakand Field Force. It was the grist for Churchill’s first book. Throughout his letters, notably in his soldier years, we see how Churchill planned his course, always aiming toward politics. “My soldiering prospects are a present very good,” he wrote Jennie from India. “I should continue in the army for two years more. Those two years could not be better spent on active service.” He would ride fame into Parliament. He did that. But politically, his mother’s predictions were more accurate than his. Winston was sure the Conservatives would lose power by 1902, for example. As Jennie expected, they hung on for another three years. Yet, with the sense of timing for which he was renowned, Winston managed to bolt to the Liberals in time for the 1905 election. Jennie “did nothing to discourage a switch of careers,” David Lough tells us. Indeed his “political ambitions excited her after the premature end of her husband’s ministerial career.” This is exemplary of Lough’s penetrating observations. It is often overlooked that Lord Randolph’s precipitate political fall greatly depressed Jennie, more even than his death. Their son revived her hopes, especially after his hair-raising Boer War adventures: “I am sure you are sick of the war,” she wrote. Now “you will be able to make a decent living out of writings, & your political career will lead you to big things.” She was right again. He was also safer—relatively. In politics you can be killed many times, he later observed; in war only once. God granted her prayer and he was soon back in the thick of politics. But they never indulged much in political exchanges, as Winston did with Clementine. 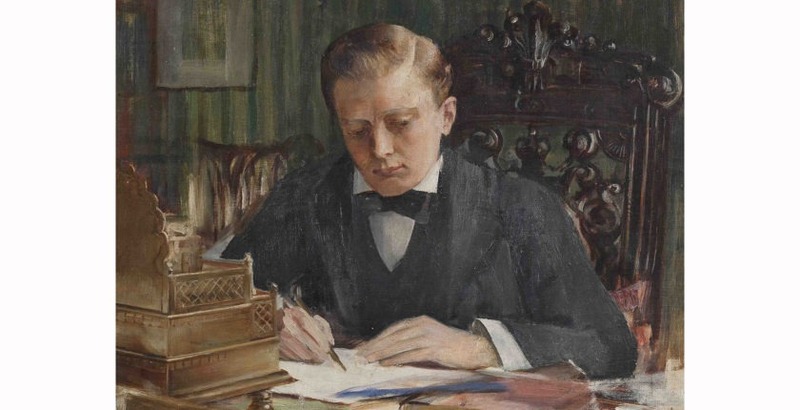 Jennie’s few letters now were filled with family things: pride in grandchildren, happiness at Winston’s political success, her 1918 marriage to Montagu Porch. His step-father was actually three years younger than Winston, but the marriage worked somehow. Moreover, his mother was happy, and that was what mattered to her son.